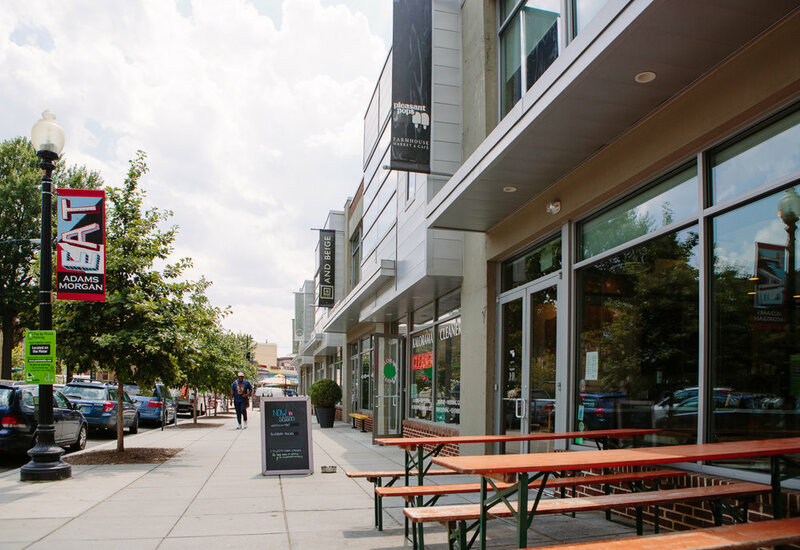 From plenty of retail establishments to the Bethesda Farm Women's Market right on Wisconsin Avenue, the area is vibrant and yet offers neighborhood respite. Many businesses settled here because of metro access and this area has a new Downtown that is home to NIH Medical Center and Walter Reed. It's mostly young professionals and young families with children because neighborhoods sport houses and apartment buildings as well as some town homes. The real draw is you can walk to grocery, entertainment, transportation, etc. from most neighborhoods in Bethesda within 15 minutes. NIH Medical Center and Walter Reed Medical Center put Bethesda on the map, but the downtown area is really the talk of the town with great shopping, restaurants, and bars. From the Mussel Bar and Grill to Jaleo, there are plenty of ethnic restaurants from which to choose. Home to stores big and small, Bethesda has room for national favorites as well as many small businesses and boutiques. Find a favorite hot spot or visit one of the many bars in the area to catch sports games of all kinds and from all over the world. There are several gyms in the area as well as yoga and dance studios. The Capital Crescent Trial also runs through the area and goes from Silver Spring to Georgetown. You can bike, roller blade, run or walk it. Though Bethesda sits outside of DC, it has the same urban and vibrant feeling as many of the DC neighborhoods. 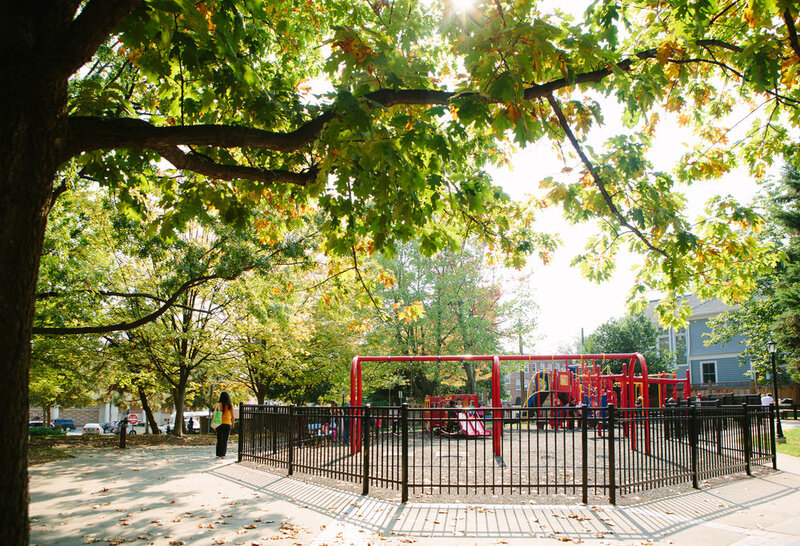 Great for families and kids Battery Lane Urban Park has tennis, playground and basketball courts.